Read our article about our new summer 2016 collection. Mara, the name of Lornah Sports latest summer collection. Little over 1,5 years ago Lornah Sports introduced their first African inspired sports collection to the market, and we’re back with a whole new exciting range of sports apparel. This years collection consists of a mix between Urban Green and Fig/Tandoori colours. As you can expect from Lornah sportswear, the Mara collection is a very stylish and functional collection with stunning designs and prints. The designs of the Mara collection are directly inspired by the unique traditions of the Masai, a largely nomadic tribe in eastern Africa. Their authentic way of life, in full harmony with nature and filled with symbolism, echoes in the patterns as well as in the colours. The Masai wear many necklaces and other types of jewelry, beautifully crafted with small beads that have a meaning to the Masai. Red beds are connected to blood and life, blue beads to the heavens and the Gods and green beads to prosperity, fertility of the land and peace. Bead working, done by women, has a long history among the Masai who articulate their identity and position in the society through body ornaments and body painting. The clothing varies by age and location. Red is a favoured colour, but blue, black, striped and checkered cloth are also worn, as multi-coloured African designs. 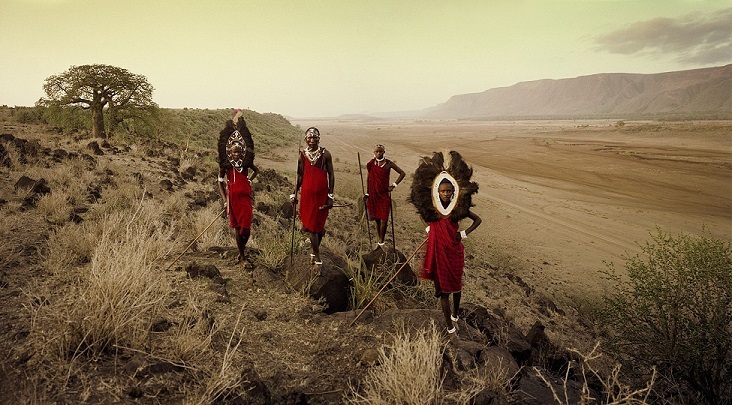 The Masai only wear commercial cotton cloths since the 1960’s; before that they would dress in animal skin, calf hides and sheep skin. Check out the new collection HERE. Want to get exciting news, tips about running, nutrition and much more from three times Olympian and multiple world record holder Lornah Kiplagat?